A community effort to develop and steward recreational opportunities along the Lamoille River. Join us for the 1st annual Lamoille River Paddlers’ Trail Community Social, scheduled for Wednesday, May 4th! Join other river enthusiasts to celebrate recent accomplishments, including the establishment of the first official paddler campsite, and learn about projects planned for 2016! 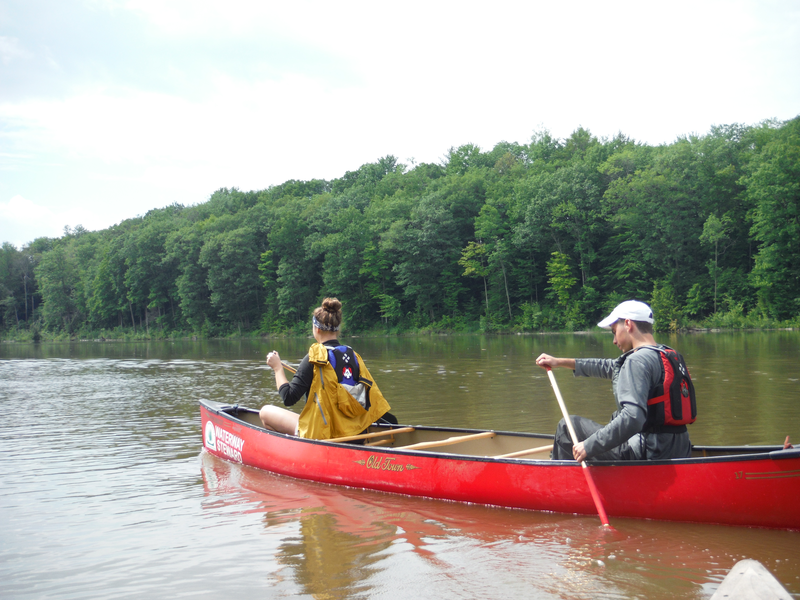 The evening will start with an optional, 2.5 mile group paddle to the tavern, leaving from Sloping Falls at 5:00 pm. We’ll then gather at the tavern where there will be appetizers, cash bar, raffle, slideshow, presentation, and dinner available for purchase, with a portion of proceeds going toward the Paddlers’ Trail. Help is also needed to install river access stairs at the site during the afternoon (1:30-4:30). 1:30-4:30 – Optional volunteer work opportunity – help install access stairs at Landmark Tavern! 6:30-7:30 – Presentations, slideshow, discussion, optional dinner! Sign up for Lamoille River Paddlers' Trail E-newsletter!